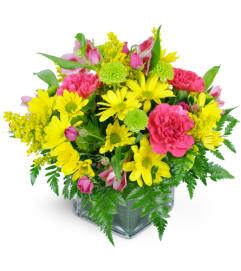 Here's the perfect arrangement for the newest addition to the family! Baby, It's You! 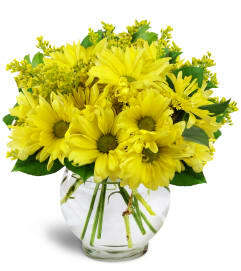 features yellow roses in a field of white chrysanthemums and baby's breath. 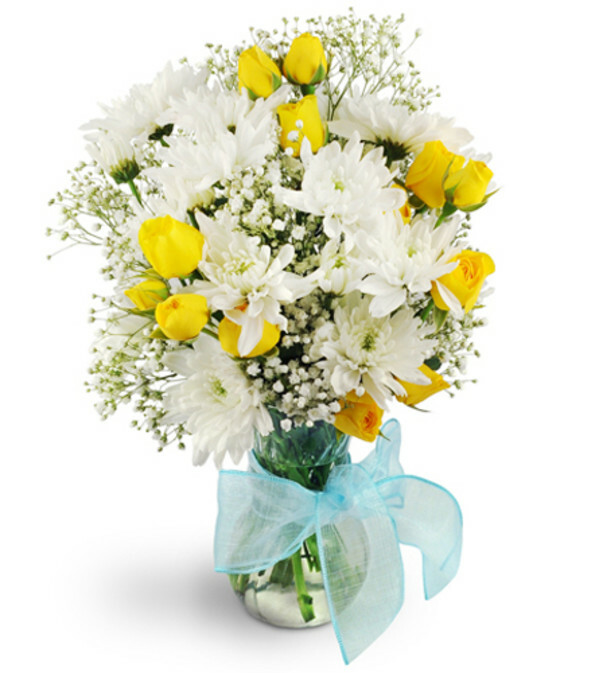 Delivered in a clear rose vase tied with a gorgeous blue ribbon, this cheery bouquet is a beautiful way to welcome a son! Yellow spray roses, white chrysanthemums, and baby's breath are expertly arranged in a glass vase, and perfectly completed with a blue ribbon.